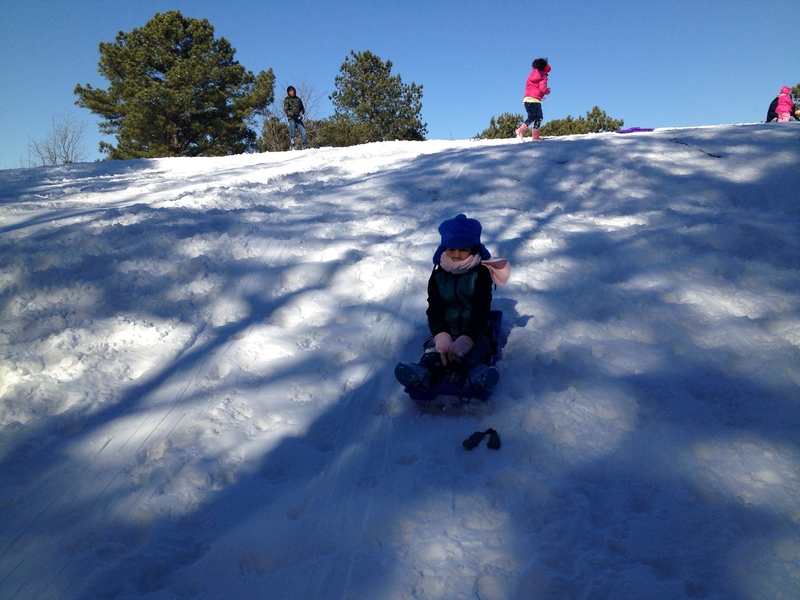 Winter Wonderment with Mommy Matinee! Mommy Matinee Back in Action! Like so many of you Mommy Matinee got super busy with family, parenting, home care, work, moving and other things in life. So, updates were minimal to nil. The good news is....Mommy Matinee has garnered a wealth of information that came from those experiences and can't wait to share them with you! To keep things simple, we will be sharing a little at a time. So check periodically for updates! Check out the index below to see our featured articles. Simply click what is of interest to you. Clicking Index will bring you back to the index! Busy Families on the Go! Most of the articles and features are for families and parents anywhere. The announcements and events pertain mostly to the Kempsville sections of Virginia Beach (23464) and the Greenbrier sections of Chesapeake (23320). We affectionately refer to these areas as Kempsbrier. Some of our announcement and events pertain to the surrounding Hampton Roads area (757 area code) and sometimes beyond! Mommy Matinee also provides simple solutions for small business needs. Check out our About Us page for more information. As the Holiday Season comes to a close, Winter dawns into full swing. One year ends and another begins…this is a time for new beginnings for many. Have a winter picnic with the family by packing up some sandwiches and thermoses of hot beverages. Rock Salt and/or kitty litter (for defrosting walkways and driveways). Websites that will stimulate the minds of children for any snow days they might have, and in-between snow bound fun. 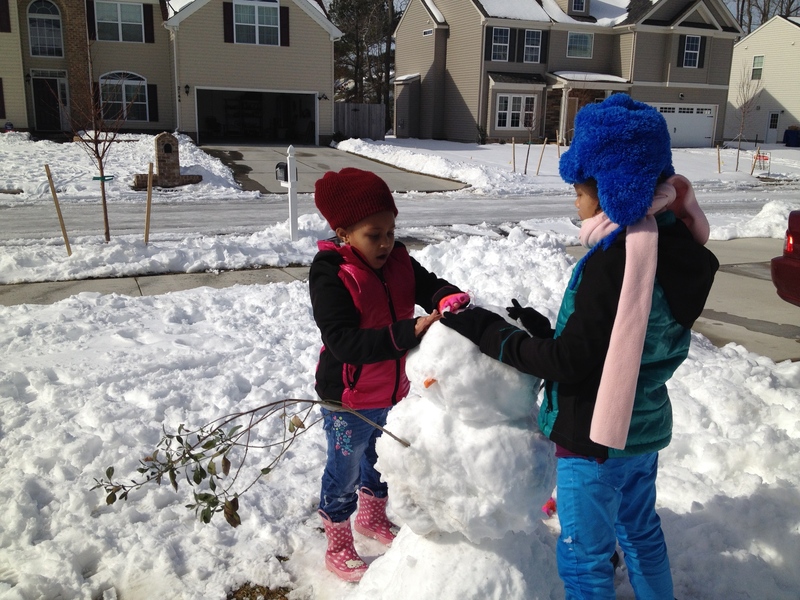 Snow ball fights and snow fortresses anyone? Groundhog Day is a day celebrated to start the countdown until Spring. The first day of Spring 2015 is Friday, March 20, the Vernal Equinox. February 2, typically represents the mid point between Winter and Spring. Groundhogs, also known as Woodchucks, hibernate during the Winter. It is believed that their internal clocks are aware of seasonal changes. Therefore, if they become active around February 2, that represents an earlier Spring. If not, then it is believed Winter will be longer. 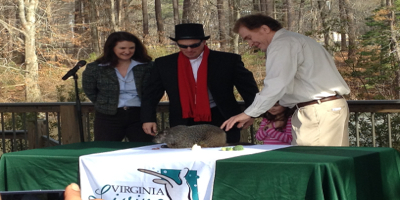 If you can’t be part of some of the more grand Groundhog Day celebrations and events, like the one in Punxsutawney, PA, with Punxsutawney Phil, and others around the nation, there may be smaller event in your locality. Check with your local zoo, live exhibits, and natural museums. To celebrate Groundhog Day, you don’t have to attend an event, and you can do most activities the weekend prior - January 30 and 31, particularly since many parents will be working, and many children will be in school on February 2. On actual Groundhog Day, school aged children, or children in daycare, will likely have Groundhog Day activities, like the ones found on Super Teacher Worksheets. Whether you plan to celebrate the weekend before, or on February 2, starting the day off with meal planning and Groundhog Day themed meals makes the day more festive. If you have a slow cooker, consider making “Groundhog Stew” (Beef Stew) just called Groundhog Stew, or a vegetable stew). Do this early in the morning, so it will be all savory and warm around dinner time. If you don’t have a slow cooker, here is a quick and easy recipe. A very large frying pan, skillet, or electric griddle, lightly sprayed with cooking oil. Heat pan or griddle on medium. Butter the sliced bread on one, or both sides (your preference). Use the cookie cuter or 1/4 measuring cup to cut circles out of the center of the bread slices, leaving a round circle in the middle. Position the bread slices, butter side down first (if you only buttered one side) in the pan. Crack an egg, and drop the yolk and egg whites in the center of the circle. Do this for each bread slice on the pan or griddle. Cook until the egg is set on one side, and flip over. Do the same for the other side. Cook until the eggs are of your liking (i.e. over easy, over medium, fried). Move to a platter and serve immediately, or place in a warm oven until ready to serve. Make sure oven isn’t so warm, or the eggs sit in it for so long, that they become over done. Since Groundhogs dig holes, you can serve bagels, perhaps with a slice of bacon, sausage, or fruit in the hole, and say it is the groundhog, or you can purchase donuts to represent Groundhog Day. Groundhogs love to eat vegetables. Make a big salad, of your choice (chef, Caesar, garden), and call it Groundhog Salad.2 To make it a little different, try adding another vegetable to the salad, that your family has never had, or a unique, but tasty, dressing. Serving slices of Swiss Cheese is also a good idea for lunch and snacks because it has holes. After breakfast (or before, for you early risers), head out to a park with a big field, preferably one by a wooded area, and see if you can spot a Groundhog. When the sun goes down, play a game of shadow tag with family and/or friends. Watch the movie, Groundhog Day, starring Bill Murray and Andie MacDowell. It’s currently available to rent on Amazon, starting at $2.99. Keep in eye out for it in your local TV listings. Chances are a station will air it right around GroundHog day. 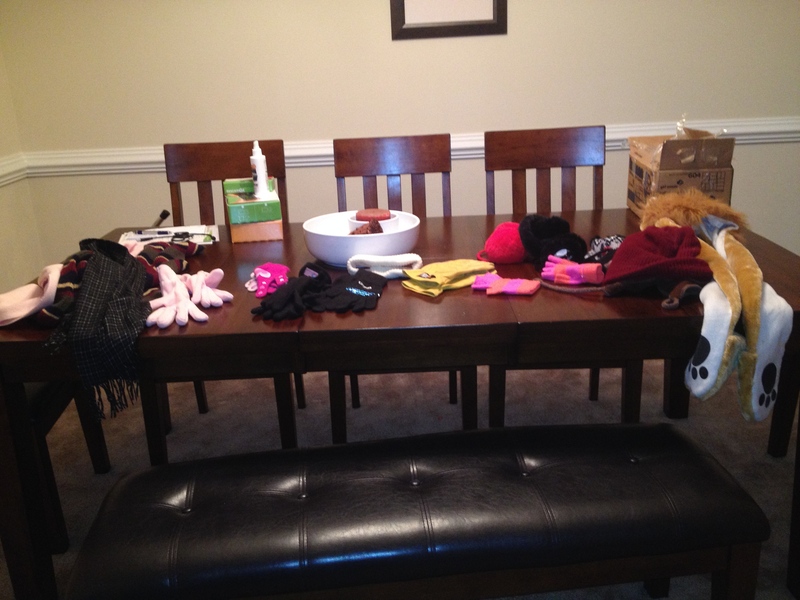 A home with young children can often look like a toy/underwear/book/shoe bomb had detonated. And sometimes picking this stuff up seems to take as long as cleaning up after minuscule natural disaster…even if those responsible are "helping". 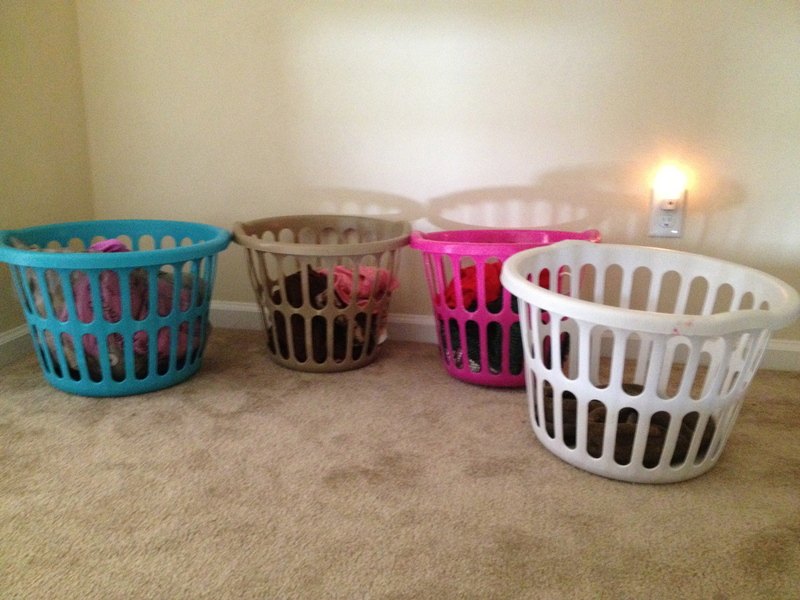 Enter….the laundry baskets...they are not just for laundry anymore. They are instrumental for basic home care for busy familes and parents. Having several of these can cut picking up a room, and putting items in their proper places, down to as much as 75%! Additionally, this method is compatible with children "helping." Grab several empty laundry baskets. Place them in the disaster zone. Instruct those involved with "helping" to put all books in the blue basket, all clothing articles in the white basket, and all toys in the red basket. Once the baskets are full, whisk the items off to their proper designations (toy box, hamper, washing machine, book shelf, etc.). Variation: Instead of having certain items go into specific baskets, you may have a certain person's items go into a specific baskets. So instead of books going into the blue baskets, toys in the red…you may have all of Angela's items (her toys, clothes, and books) go into the blue basket, Doug's items in the red basket, etc. I have a multitude of laundry baskets that I use daily for the task of picking up around the house. I have transformed a room from looking like a Caroline's room in Poltergeist to a page out of Better Homes and garden in literally less than 15 minutes....well maybe not quite Better Homes and gardens, but less like the room from Poltergeist. Having the round type of laundry baskets takes up very little space and are stackable. So having 10 of these will basically take up the same amount of storage space of only having 1. Whenever you see these, invest in several of different colors. 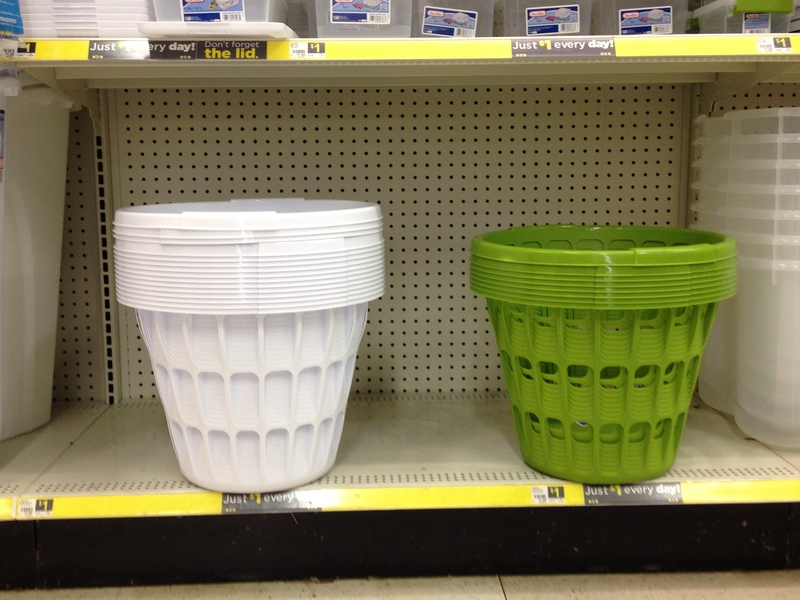 From time to time you will see these types of laundry baskets in a grocery store, a dollar store, or a drug store. They are very economical, particularly for the function they provide. Avoid having these baskets become the permanent home of items. If you are not careful, other family members try to commandeer them as their personal filing cabinet, barbie or tractor caddy, etc. Busy families on the go could really benefit from methods, such as this one, to minimize the time spent cleaning, and maximize more "me/us" time for busy parents; as well as more family time. And speaking of more family time...check out Games Parents Play: Keeping Control of Your Children Using Games and Getting Kids Active-Neighborhood Inventory. In addition to snacks, books, and toys, every parent should have in their arsenal the following games: Simon Says, Red-Light Green-Light, I Spy, Counting Games, Color Games, and 20 Questions. Play these games often at home. Stimulate excitement with your children with these games and make sure they understand them and their rules. One of the best things about these games is... they require no equipment or materials! There is nothing for parents to pack, and their success rate is just as good, and often better, than using toys, books, and snacks. Simon Says is the ideal game for parents, in situations when your child needs to quiet down, walk carefully, and follow directions. While in a store full of breakables, proclaiming, "Simon says... walk like a robot," will help your child to walk carefully and deliberately; lowering the chance of breaking or disturbing something. Red-Light Green-Light is a parent's must have in crowds, parks, beaches, amusement parks and the like. When your child gets excited and charges ahead, and you are not in a position to keep pace, exclaiming, "Red-Light!" is likely to stop your youngster in her tracks if she is familiar with the game. Just remember to say, "Green-Light" when you have caught up and it is okay for her to proceed. Say "Yellow-Light" if you want her to proceed slowly (or quickly depending on how you perceive a yellow light). Eye Spy, Counting Games, and Color Games. When your child is bored and losing interest in his current setting, such as a pediatrician's office, in a line, at church, etc. these games are likely to capture his attention until a change in the setting or activity has occurred. Saying, "I spy something fuzzy" is bound to get his curiosity piqued, and have him committed to the challenge of locating the item. For a younger child, a parent asking him how many hats he sees or to count everything the color red, or everything in the shape of a circle, gives him a sense of purpose and staves off the boredom. Many parents use counting to threaten impending consequences if their child does not do something. "Rebecca, you better come here by the time I count to 10! One, two... " Instead, try appealing to the more competitive side of your child by challenging her. Get in the practice of seeing if your child can pick up her clothes, toys, and so on, by the time you count to a certain number. In a non-disciplinary tone, try saying, "Rebecca, see if you can pick up your jacket and books by the time I count to 20." Or, for a more competitive child, "Rebecca, I bet you can't pick up your things by the time I count to 20... one, two... " This approach will also work well as a parenting tool in other settings, such as having your child catch up to you at the mall by the count of 10. 20 Questions is very useful with older children, especially in situations where they have to accompany you on errands that have little to do with them. Having a bored child guess a specific person, place, or thing can do wonders to dispel indifference. Children are full of wonderment, energy and expression. Channeling these traits, to manage children in certain situations, can go a long way and prove to be highly successful and invaluable to parents. Part of parenting deals with keeping children active with the family. In today's age of electronic gadgets, 300+ channel television services, and yes, the internet…it can be more challenging to get your busy family out for a simple walk in the neighborhood. Children (and adults) may need a little more motivation. We are not talking bribing kids with goods and money, but giving them an important job to do that requires walking through the neighborhood. Have children take inventory of various common neighborhood people and things you may come across. Clipboard (or a thin hard back book...anything to bear down on while walking). Inventory sheet (you can use this one or make your own; customized to your unique neighborhood). Put the date and time on the top of the sheet. Instruct your child(ren) to make a tic mark, next to the item/person on the sheet, each time they see such item/person. And of course, show them what it looks like after five tic marks are made. For some reason, children love making these. When done with your walk, consider keeping the inventory sheet. Perhaps putting it on the refrigerator or in a drawer…not to add to clutter, but to motivate your child(ren) to go out for the next walk. "Constance, we saw 4 joggers and 6 bicyclists last time we walked. I wonder how many we will see this time?" Or, "On our walk down Maple Street we saw three fire hydrants. I wonder how many there are down Cedar Drive? Lets find out!" Get creative. Maybe your neighborhood does not have ducks, squirrels and the like for counting. But you may have an moderate number of American flags, portable basket ball hoops and grills. Make new lists and consider seasonal ones. For the fall, you may want to include pumpkins and corn stalks. For the winter holidays… Santa Clauses and snowmen. Avoid putting items on the inventory list in which there is a great abundance, such as mailboxes and street lights. Children loose interest in counting items if there is one in front of every house or every other house. Families keeping active together helps to foster other desirable traits in children, such as team work, and responsibility. Keep your busy family active with activities such as this neighborhood inventory, and visit us periodically for more activities. Want to get the entire family out of the house to do something that is mostly an indoor activity? Don’t want to spend any money doing so? Visit new model homes and open houses (see below for actual communities with open houses), particularly those being shown by an agent, instead of by the owner. Open houses of model homes sometimes have refreshments available for those who visit them. New constructs and model homes are usually decked out by a professional decorator, and have some state of the art appliances. Visiting these homes gives you wonderful decorating and gift giving ideas. Therefore, there are several valid reasons for visiting them, other than being in the market for a house. Many agents don’t mind people viewing the houses, who may not currently be on the market for a house. In fact some agents will welcome, and enjoy, the company if things are particularly slow. They may also get to practice their spiel on you. Additionally, they know that many of their potential clients don’t necessarily come from those in the market for a house, but rather from friends, relatives, and associates of those who are in the market for a house. Important if You are in the Market: Avoid signing any sign in sheets in homes you are visiting if you are currently working with a real estate agent who you want to represent you when you purchase a home. Many of these sign in sheets actually have a clause somewhere that say if you choose to purchase that house, or a house in that community…then you agree to have the real estate agency of the home to represent you, and not anyone else (including the real estate agent you may already be working with). Avoid going to houses that are For Sale by Owner if you are not seriously in the market. The actual home owners may feel like you are wasting their time. Keep your visits to communities in which models are open to the public. Avoid viewings in which appointments are necessary if you are not currently in the market to seriously consider buying. It is best to be up front and state to the agent on duty that you are just looking for future ideas, if you are not currently in the market to buy. Don’t limit yourself to only single family units. There are plenty of model apartments and condominiums that are interesting to visit. Make sure children behave themselves. Keep younger children, who don’t know any better, from wreaking any kind of havoc whatsoever.